What Should I Eat? Coach Michelle Herman Shares Great Dinner Ideas! Last week we dove head first into some delicious and healthy breakfast and lunch options! So you’ve made it through your entire day eating the best you can and now it’s time for dinner! Don’t make the age old mistake of eating well in the daylight and blowing your entire day when the sun sets! Low-calorie slow cooker meals that make mealtime quick, easy, and guilt-free. Check these beauties out at www.skinnyms.com, or click on the picture above. 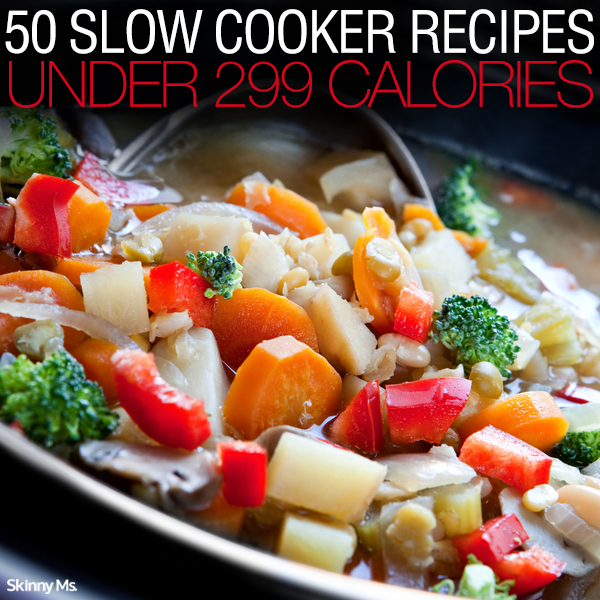 46 great slow cooker recipes under 300 calories! With 300 calories or less, these light entrees deliver the kind of deep, rich flavors that come from cooking low and slow. Check them out at www.myrecipes.com, or click on the picture above. Cooking Light's escape on a chilly evening? The slow cooker. Come home to your favorite main dishes, sides, appetizers, and drinks that are sure to soothe your family with the simple joys of comfort food. More info at www.cookinglight.com, or click on the picture above. Slender Kitchen has this great Chorizo Spiced Pulled Pork recipe. Yum! Check it out at www.slenderkitchen.com, or click on the picture above. When we have more time in the kitchen, we normally stick to a lean protein, an oven roasted or grilled veggie and some sort of grain like couscous or quinoa. Salmon is one of my favorite dinner items, it is SO easy to cook in the oven. You can wrap it in foil with some lemon and have a delicious super healthy main dish quickly. Broccoli, brussel sprouts (try the prepacked shaved brussel’s!) and asparagus are all staple veggie sides in my house. You can prepare them all the same way, with a bit of lemon juice, some parmesan cheese and an additional seasoning of your choice sprinkled on top (lemon pepper, creole season, McCormick veggie seasoning, etc). Cook in the oven for 15-20 minutes on about 425. Our other go-to side, butternut squash. Shake it up in a bag with some cinnamon and brown sugar and olive oil, heat in the oven at 425 for about 20 minutes. It’s perfection. Not even sure how it’s considered a veggie, it’s so good and sweet! We also love to do BBQ dinners with some chicken and corn on the grill or my favorite grilled veggie combo, mushrooms, asparagus, zucchini and yellow squash with lemon! The dinner possibilities are endless. These protein packed, high fiber dinner options will leave your feeling full and satisfied without packing on the calories!